Rahul gives an opportunity for BJP! Sri Ramachandra Murthy December 14, 2018 12:00 IST Rahul gives an opportunity for BJP! After the massive success in the state assembly elections in three states, the Congress party had reached the pinnacle of Glory but within a day, Rahul Gandhi has given an upper hand for BJP. With the declaration of vote counts of Telangana, Mizoram, Madhya Pradesh, Chattisgarh and Rajasthan and Congress emerging victorious in Madhya Pradesh, Chattisgarh and Rajasthan, the spotlight was totally on Rahul Gandhi and Congress rather than on the Modi lead BJP. There were days when BJP leaders were abusing and trolling Rahul Gandhi and even senior leaders of BJP used to refer him as pappu and an inexperienced and ineffective leader. 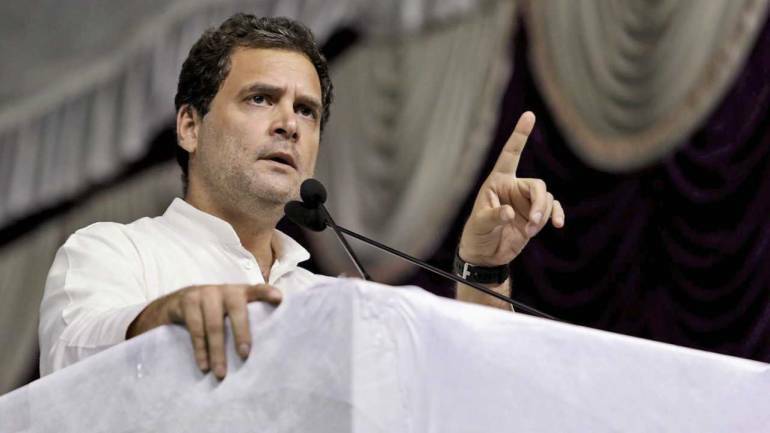 However now Rahul has slipped in selecting CM for the three states, and his sister Priyanka Gandhi had come to discuss with him on the issue and with news spreading that he's all set to seek help from Sonia Gandhi on deciding the CM, BJP has started trolling that he's not got the management skills and political expertise and that's why he's struggling for 2 days.